This is an adventure holiday in Italy with a difference. You will be embarking on a journey following in the footsteps of some of the allied servicemen who risked all. Many of whom crossed the Alps to freedom after breaking out of their Italian Prisoner of war camps on 8th September 1943, after Italy surrendered. Your journey begins in Biella, a small city in northern Piemonte, around an hour north of Turin, on the south side of the Alps. Piemonte is perhaps best known for producing some of the top wines of Italy (produced from the Nebbiolo grape) such as Barolo and Barbaresco. Over the course of 9 days we will follow in the footsteps of allied ‘escapers’, most of whom had got out of PG106 at Vercelli, not far to the south of Biella. They crossed four mountain ranges, travelling 91 kilometres and climbing 6,800 metres, sometimes in as little as 6 days. No small feet when you have no route, maps, descent footwear and waterproofs and very little in the way of food! Overnight stays include the Santuario di Oropa, a Monestary which provided shelter to many on the run. 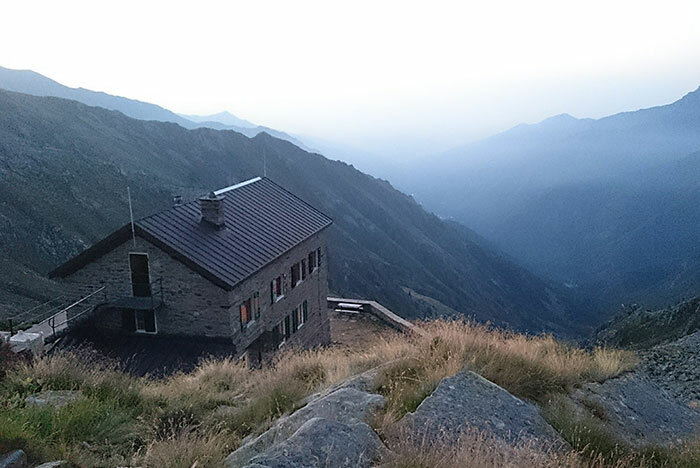 Some nights will be spent in mountain huts, known as a ‘Rifugio’. Here the accommodation is basic but the hut ‘guardian’ will provide fantastic meals. Afterwards, there will be time to sit with a glass of local wine and watch the sun setting over the surrounding Alpine mountains. Arrive at Biella and check in to Hotel. Meet your guide, who will run through the itinerary in more detail and answer any questions. 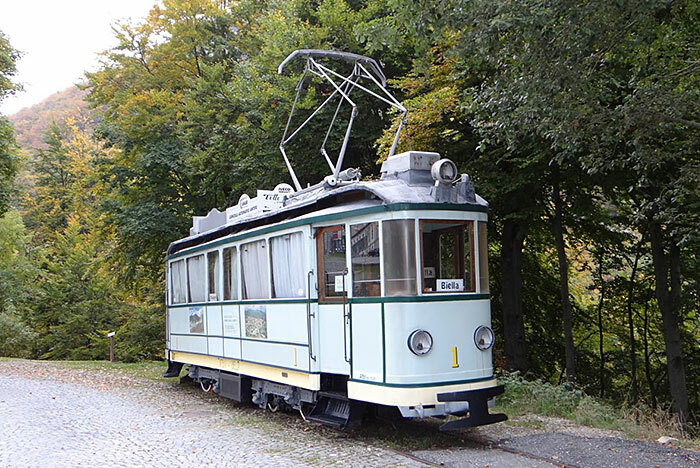 Then you’ll take a short stroll into town to the old tram station used by some POW’s on the run. You will end the day with dinner at the hotel. 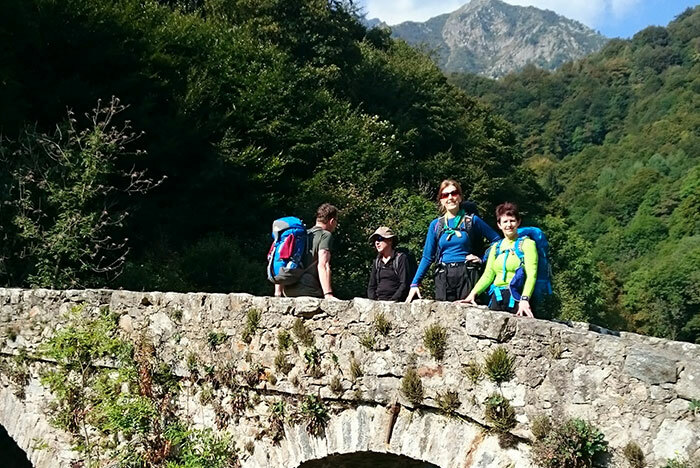 After breakfast you’ll leave the hotel and Biella to climb 700 metres, over a distance of 9 kilometres, through shady forests to arrive at the monastery. 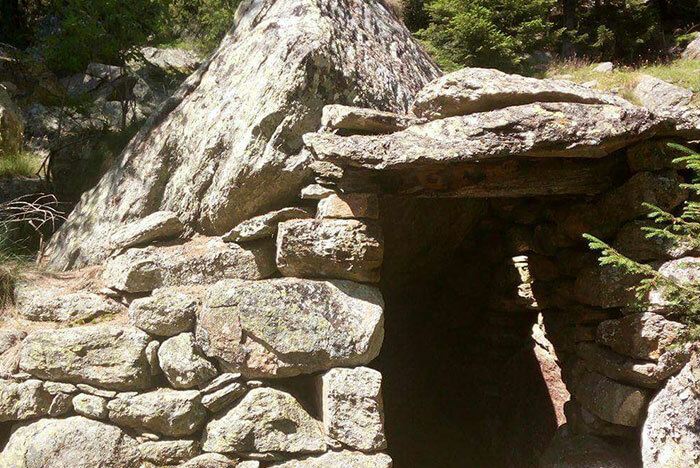 You’ll then stay overnight in Santuario di Oropa. You start the day by climbing your first mountain range and then stay in the Rifugio della Neve, above Rosazzo. 9 Kilometres and 700 metres ascent. Dropping into the valley through beech forest, you’ll stop for coffee in the small village of Piedicavallo. The village is at the end of the valley and so the only way to proceed is upwards! Leaving the village you’ll follow a water course up through a stone walled forest before arriving at a more barren landscape and continue climbing to the Rifugio Rivetti at 2,350 metres. just short of the Col. 9 kilometres, 1200 metres ascent. Continue by following the mountain trails above the Valley Gressoney. Then swing north and take a long descent to a hotel, just above the valley floor – 18km, 600m up/ 1000m decent. The hotel is in a remote setting but offers sauna/solarium and has comfortable twin/double rooms. You’ll descend to the village of Riva Valdobbia. Here the trail converges with other escape trails, such as those of the Partisans who occupied the village of Rassa and Scopello. You will be in the valley Cervo (Valley of the Deer). Another 90 minutes walk up the valley floor brings you to Alagna Valsesia. After lunch you’ll have a short easy climb to the Rifugio Pastore. 10 kilometres and 500m up/300m decent. Finally you will see the backbone of the Alps and the Swiss border in the distance! Travelling 17 kilometres and climbing 1,300 metres you’ll descend the same distance to arrive in the village of Staffa/Macagnaga for a hotel stay. 17 km, 1500m ascent/1500m descent. There will be time to explore the small village before the climb to the top of the Moro pass. 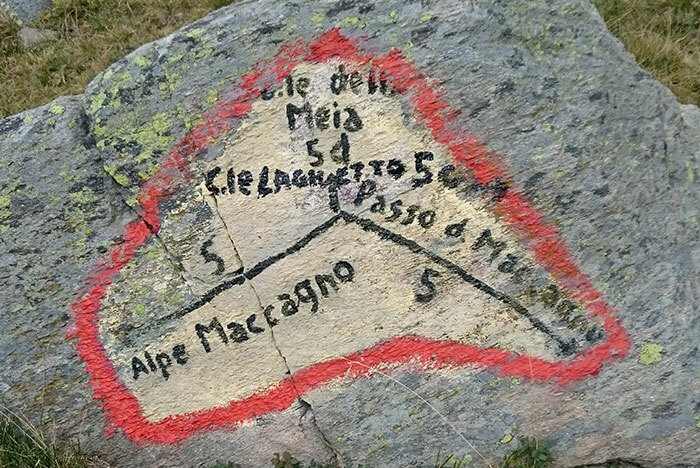 This is 2861 metres, and your final Rifugio just short of the summit. 6km distance 1,600 metres ascent. You begin by crossing into Switzerland and make the final decent to arrive in the picturesque village of Sass Almagell. 13 kilometres, 200 metre climb and 1,300 metre decent. You will then arrive at the hotel and celebrate the completion of your journey! This is the end of your WWII freedom trails Italian holiday. Say our goodbyes and head home. The route traces the paths used by POW’s who travelled from northern Italy across the Alps to neutral Switzerland. In most cases the POW’s had little or no food and were malnourished due to the poor diet provided by the prison camps. To add to their problems, their uniforms and boots were in a very poor state of repair. Additionally they had no navigation aids and perhaps most importantly of all, no knowledge of the terrain they were about to travel on. 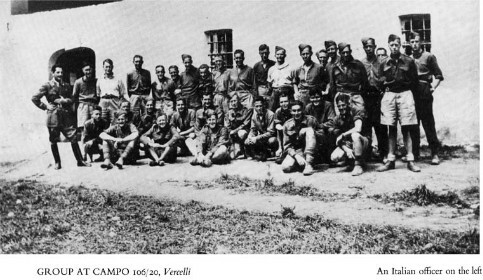 Many escaped from Prisoner of War camp PG106 at Vercelli, in Northern Piemonte or from the surrounding farms where some of them had volunteered to work. Heading for the city of Biella, some were assisted by Partisans but many were helped by the ‘Contadini’, local farmers and smallholders who would offer shelter or what little food they could spare – at great personal risk to themselves. Posters put up by the Germans or Italian Fascists warned that those harbouring escapers risked their homes being burnt to the ground, the men would be deported to work camps in Germany, or the whole family would be executed. Thanks to POWS in Italy for allowing us to us the above photo. Transfer to start point, Biella, Italy. Our WWII freedom trails walk runs from Saturday 25th August to Monday 3rd September 2018. You should expect to be trekking for 5-8 hours per day, based on a walking speed of 3 kilometres per hour, known to some as ‘Alpine plod’. It’s not a race and there is plenty of time for taking in the scenery and stopping for picnic lunches on route. The tracks and paths are rocky in places, but of good quality. Can we customise the experience? Alpine Walk’s guided walking tours are all about the personal touch. We will plan your journey along a range of different routes that provide different challenges based on what you want from your walking break. Do you want the best views? Do you want the chance to experience some of the local wildlife? You should also consider the different types of accommodation available on these routes. Spending a night in a hut does not necessarily involve sharing a dormitory with 30 other people! Some huts have smaller private rooms.